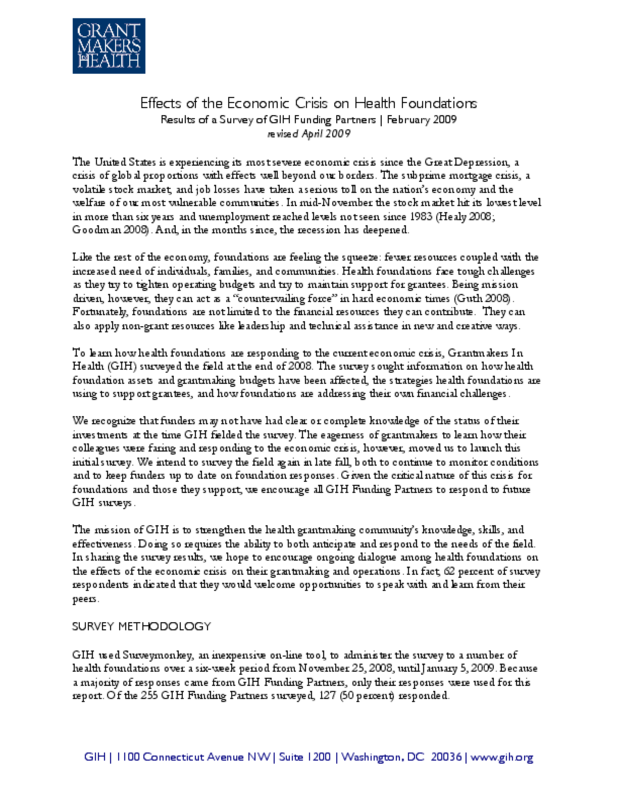 Provides findings from a survey of 127 Grantmakers in Health Funding Partners that was conducted from November 25th, 2008 to January 5, 2009. The survey contained questions that explored changes in assets, budgets, strategies, and operations, as a result of the economic downturn. Copyright 2009 by Grantmakers in Health. All rights reserved.